That’s what Jeff Stibel, chairman and CEO of Dun & Bradstreet Credibility Corporation–a California company not affiliated with the more famous Dun & Bradstreet on the East Coast–came to realize. About three years ago, Stibel and his assistant snuck into the office at night and created what they called a Failure Wall. The point was to encourage colleagues to scrawl out their failures in permanent marker, where anyone and everyone could see them. It was also a very public reminder that few failures are as bad as people think. In sharing the really big screw-ups, he hoped, perhaps others could learn something. In this way, the Failure Wall is part of an ongoing effort to create an organization that learns just as the brain does. “Personally, I’m not smart enough to outdo Mother Nature,” says Stibel. “Evolution has had hundreds of millions of years to figure this out.” But the hope is to create a business “brain” that gets smarter and smarter. While the Failure Wall might work for Stibel and his colleagues, it certainly isn’t for everyone. 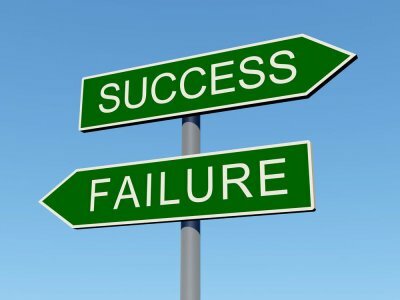 “This ’embrace failure’ mantra might sound cute to some, but I would not want it associated with my business and my brand,” says John Boyd Jr., principal of The Boyd Company, a Princeton, New Jersey consulting firm. “Embracing the failures of employees does not pay your bills and … lets employees off the hook even when they are impacting your bottom line,” agrees Daniel Goldberg, CEO and director of Gold Medical Marketing. Those executives may be surprised to learn the wall has sharpened Stibel’s business acumen.